Plan now to help prevent overeating, trips to the hospital, and depression. The winter holidays are supposed to be a joyous time, filled with celebration. But they come with health risks, such as loneliness and depression, overeating, weight gain, falls in icy weather, foodborne illness, and heart problems. Here are ways to protect yourself while enjoying the season. Even though the holidays are often happy, they sometimes trigger loneliness, sadness, and a general feeling of the blues. "You may be missing family members and friends who live far away, or those who've passed on. Or you may feel sad if you're unable to take part in holiday festivities the way you once did," says Dr. Michael Craig Miller, assistant professor of psychiatry at Harvard Medical School. Ways to combat the blues include exercising, which releases the body's feel-good chemicals and is well known for improving mood; distraction, such as seeing a movie; socializing; and volunteering for a worthwhile cause (see "A year-round mood booster"). If feelings of sadness last more than two weeks and are accompanied by symptoms such as insomnia or trouble concentrating, that may be a sign of clinical depression, which you should report to your doctor. It's easy to overeat at holiday parties. The best way to avoid that: put a plan into action before leaving your house. Have a light, healthy snack an hour before party time, and ask a friend to help you stick to your eating goals. At the buffet table, use a salad plate to keep portions smaller and cut down on calories. Stay away from red meats and other foods rich in unhealthy saturated fat (anything creamy, cheesy, or buttery). Avoid or limit foods that will make your blood sugar spike, such as sugary cocktails, desserts, potatoes, pasta, rice, and bread. And watch out for salty foods that can raise blood pressure, such as processed meats, gravies, soups, crackers, and chips. Instead, focus on low-calorie choices, such as fruits, vegetables, and baked or broiled poultry and fish. Once at your table, eat slowly; limit your alcohol intake, since too much can sabotage smart eating intentions; and move the conversation away from the table when you've finished eating. Some experiences during the holidays can land you in the hospital. One example is slipping and falling in icy conditions. If you must go out in icy weather, don't carry heavy shopping bags full of presents on icy walkways or stairs. Wear rubber-soled shoes for better traction, and take small steps to help maintain your balance. 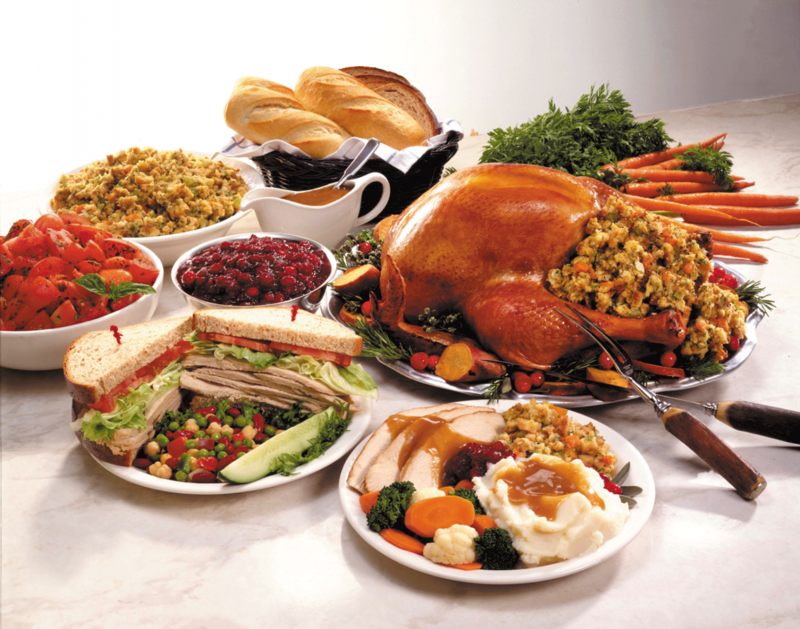 Another cause of hospital visits during the holidays: foodborne illness. Avoid getting sick by making sure any dishes with raw eggs—which may contain bacteria called Salmonella—are cooked to 160° F, even eggnog. Don't let anyone lick the spoon of raw cookie dough that contains eggs. Ensure that turkeys are fully thawed before baking, so the inside gets hot enough (165° F) to kill bacteria. And remember that food left out for more than two hours becomes a breeding ground for bacteria, so refrigerate it before then. Overdoing it at a party—drinking too much alcohol and eating too much salty food—can cause a fast, irregular heartbeat called "holiday heart." It usually represents a brief episode of the irregular heart rhythm called atrial fibrillation (or afib), and often resolves in 24 hours. If you experience an episode that lasts for hours or is accompanied by symptoms such as chest pain, shortness of breath, or fainting, go to the emergency department. One of the best ways to lift your spirits is volunteering for a worthwhile cause. "Volunteering will help you feel connected to others and stave off loneliness and depression. It boosts your self-esteem and takes the focus off of your own problems," says Dr. Michael Craig Miller, assistant professor of psychiatry at Harvard Medical School. 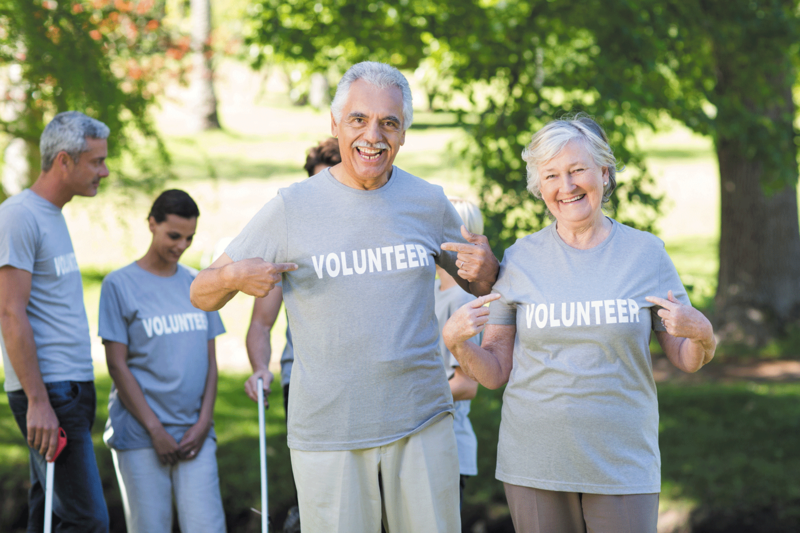 Volunteering is associated with lower blood pressure, greater well-being, and a longer life. Ideas include babysitting a young family member; ringing the bell for the Salvation Army; offering a ride to a person who can no longer drive; helping at a nonprofit group such as the Humane Society or Meals on Wheels; sharing your professional experience with a resource center as a career coach; tutoring at a local school; doing errands for a neighbor who needs help; or volunteering at a museum.